We simplified in-aisle printing to make it super easy to distribute lookup files to print labels. We’ll make you look brilliant by easily downloading price files from the web to print shelf labels. We’re in limited release with a few large retailers. To request early access, register below. Enter the number of printers or stores. What labels do you want to print? Shelf labels, markdown labels, etc.? Managing by exception is a key benefit of advanced reporting with goRoam mobile delivery software. Whether you have 100+ trucks and multiple depots, or 5 trucks and 1 depot, you need to know when deliveries didn’t go to plan. 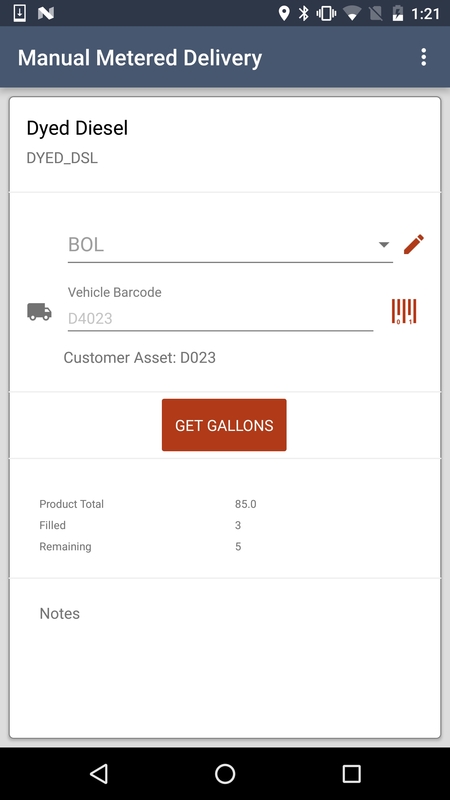 A key benefit of our goRoam mobile app and dispatch system for fuels and lubes delivery is providing visibility into drivers’ daily activities well beyond what you get with paper and simple mobile apps. Report R212-Daily Operations Review can be scheduled and emailed daily. The default start and end dates reflect the previous day, so you will receive the report at 7am for the previous day’s transactions. Let’s review the 5 key sections and how to use them. Note that this is one report, but we will highlight each section. Scheduled Trips – Were all trips started and completed? This section shows scheduled trips, drivers, truck, trailer and start/end times. The keys to this section are trips that have not started, or trips that have not ended. Unstarted trips means you scheduled a driver but the trip was never done. Trips that have not ended should be checked to see if all the stops (orders and loads) were completed. Rejected Orders – Why was a delivery not attempted? Rejected orders need to be reviewed to determine if they should be re-dispatched or canceled. Orders With Undelivered Products – Why was a delivery incomplete? This section shows any line items that have zero delivered and zero back ordered. Where the ‘Rejected Orders’ section deals with the whole order, this deals with individual line items. These should be reviewed for specific reasons. In the example above, you can see that the driver entered ‘not needed’ on the last item. On a keep-full account this may be an opportunity to improve productivity by adjusting the delivery frequency. The goRoam mobile app prompts drivers to enter a reason for a backorder, so you can get reason codes for individual line items. Event Log – What may my driver not be telling me? 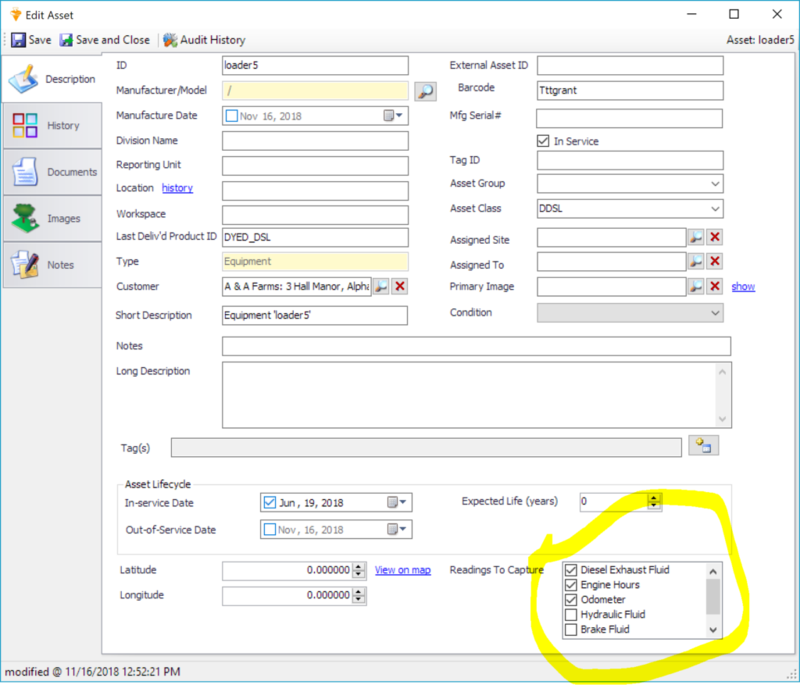 Inventory Reconciliation – when the driver ends their trip, we total all the customer and inventory transactions (e.g. clear line), and compare it to the beginning and ending totalizers. This is a key area to review as you SHOULD NOT have a difference between inventory transactions and what was delivered. Out of Band Delivery – when using our LCR-II electronic meter integration, we constantly monitor the LCR-II. If a driver uses the meter OUTSIDE of a customer delivery, we record the amount pumped and the GPS. This happens behind the scenes with NO driver intervention…drivers do not know it happens. These should be reviewed to see if where the driver is using the meter (on a map) and why. Audits with Manual Entries – When is my driver not using the automated process? As the last section of this report, we are continuing to get into more detail. We audit a significant amount of activity on the mobile device. You can think of it as an IoT (Internet of Things) for fuels and lubes trucks. We log things such as when a driver opens an order, when they open line items, what values they typed, etc. Manually entering pre or post-trip meter totalizers – if you are using our LCR-II integration, the driver should never enter the meter totalizers. Manually entering a barcode – drivers should always scan a barcode versus manually entering it. It could be they ran out of new barcodes (need to order labels and put them in the truck), or that they are new and do not know how to use the scanner. Overriding an entry – drivers can manually override a delivered quantity. They should not do this, but sometimes they scan or key in the wrong information, especially if they are in manual mode. This is usually an indicator the driver is not paying attention or is sloppy. It can also be an indicator they are adjusting quantities to match the totalizers. You should always follow up on instances where drivers manually revise delivered quantities. 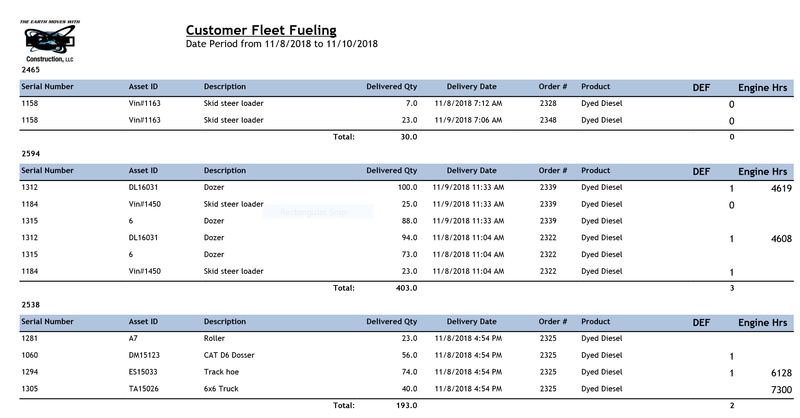 If you would like a review to see how your daily operations can benefit from goRoam advanced reporting for fuels and lubes delivery, please call or contact us. We occasionally get questions from customers about using barcode labels or RFID tags to mark assets for fuel and lubricant deliveries. When using fuel or lubricant delivery software, the driver typically scans a barcode or RFID tag to confirm the vehicle or tank being filled. 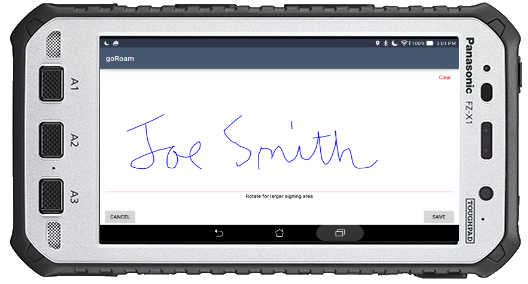 This eliminates the need for a driver to manually key in a value or hand write a tank number, and possibly record the wrong ID. 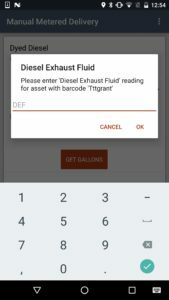 When the driver scans the label or tag, the mobile device can validate product compatibility, so the driver cannot put dyed diesel in a gas tank, or cross-deliver 5W-20 conventional oil into a synthetic tank. • When should I use RFID over barcodes, or barcodes over RFID? • What’s the cost difference? • What kinds of companies are using RFID vs barcodes? Let’s start with some background to understand the key characteristics of each. • Come in 2 main types: 1D (the vertical lines like UPC codes) and 2D (like QR codes or your driver’s license). • Can be printed on various materials – paper, polyester, polypropylene, metal, etc. The material they are printed on determines their durability. • Use different adhesives to stick to different materials – there are adhesives for metal, plastic, etc. • Have different durability characteristics depending on their use. For example, KIMDURA labels are designed to withstand exposure to chemicals, solvents, abrasions, etc. • Come in 2 main types: HF (High Frequency), which have been around since the 1950’s, and UHF (which were popularized when Walmart started their initiative). • HF tags are frequently seen as a button, and have a read range of approximately 8 inches. • UHF tags typically can have a read range up to 10 feet from a mobile RFID reader, but 2-3 feet is more common. • In order to use UHF tags on metal, you need a specially designed metal-mount tag. • RFID tags can have specialty adhesives just like barcodes, but due to the lower volume they tend to be a specialty order. • RFID can be read through other material, like clothing, but it does NOT read well through liquids or metal. A non-metal mount RFID tag placed on a metal tank will not read, even if you are less than a foot away. • If an RFID tag is on a poly tank full of liquid (oil tote, bleach, etc), it will not read through the tank. So when should you use barcodes vs RFID with your fuel and lubricant delivery software? RFID for fuel and lubricant delivery has typically been implemented with HF tags (buttons). In this scenario, the tag scanner/reader needs to be placed within a few inches of the button in order to read it. The advantage of RFID buttons in extremely dirty or harsh environments is that the button can get covered in dirt or grime, and you can still read it. A 1D barcode label that is damaged will not be scannable. A 2D barcode can sustain some damage and usually still be scanned. The downside of RFID buttons is they are raised, so if you power wash a truck or tank, it can be pretty easy to wash off the button. And if you have multiple buttons, you have to scan the button in order to find a specific one because they may not have a human readable value that a driver can see. Some smart phones can read HF RFID tags, but in general, RFID readers can be significantly more expensive than barcode scanners. A UHF capable RFID mobile scanner is typically $3000-$4500. Your choice of devices for RFID is significantly limited compared to barcodes. Barcodes can be read by imagers (ex. phone cameras) as well as dedicated barcode scanners. Barcodes are available in exceptionally durable (polyester, polypropylene, KIMDURA) formats and are designed to last years in rugged outdoor environments. In our experience, there is NO advantage to use RFID over barcodes when using fuel and lubricant delivery software, or really for any bulk products (bleach, chemicals, etc.). Today’s barcode material and adhesives meet the durability needs of most bulk product distribution scenarios without the higher cost for RFID tags and reader hardware. What’s the cost difference between RFID and barcodes? Hardened HF RFID tags are typically $3-6/each, depending on quantities purchased (less than 1000). $130 for qty of 25. UHF RFID tags are around $.10/each. Metal mount UHF tags are > $1/each. Durable barcode labels are about $.01/each. 2500 labels are around $300. Please let us know if you have questions about barcodes or RFID with fuel and lubricant delivery software or for other bulk product delivery. The goRoam Lubricants distribution software for iOS app for lubricants delivery has all the capabilities of our Android app for bulk and packaged lubes distribution, including barcode scanning, electronic signature capture, wireless dispatch and LCR-II meter integration. Lubricants distributors are looking to iOS for a few reasons. 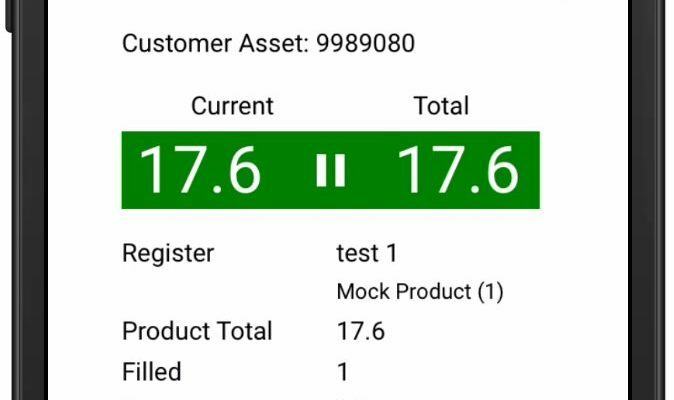 One of the top 3 lubes manufacturers released a contamination app that only runs on iOS. In addition, many distributors are providing drivers with company iPhones for phone, email and texting. 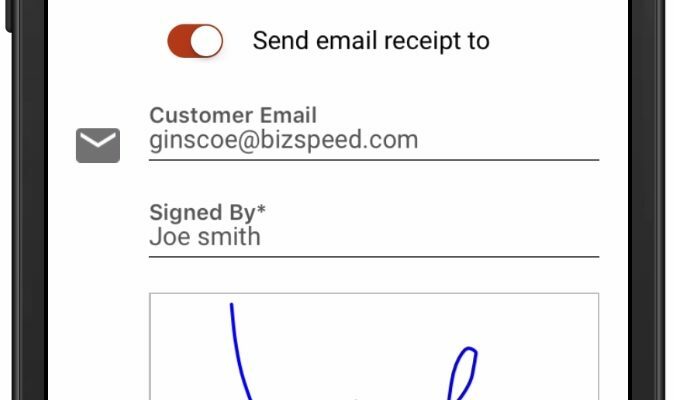 Whether you use the iOS or the Android version of goRoam, it makes a statement on customer service when drivers do everything electronically and then hand the iPhone to the customer for their electronic signature, printed and emailed delivery receipt for Proof of Delivery (POD). Barcode scanning of tanks to confirm the product compatibility, which eliminates the chance of contamination or cross-fills. Wireless dispatch – drivers get and send realtime updates on orders, loads, GPS, inventory, etc. Workflow specific to bulk and package product delivery. Mapping and directions (including real time traffic) using the native mapping app. On iOS, we use Apple Maps. On Android, goRoam uses Google Maps. Super fast and easy to use. Quick driver learning curve. Commercial truck routes with restrictions for height, length, max weight, weight per axle and HazMat (e.g. explosives, flammable, inhalants, caustic). 2-way driver messaging. Driver chat with dispatchers. The Lubricants distribution software for iOS app has all the features of our Android app. Our Android device has wifi tuning specific to truck hotspots and metered delivery. We’ve worked with our device manufacturer to configure the device to not roam or search for different AP’s (Access Points), change the wifi drop threshold, reduce the channel search and times to aggressively reconnect to the truck network, manage the power settings to maintain high connectivity, etc. iOS devices do NOT support changing fine grained wifi setting like you may use in a warehouse or industrial setting. Android has a built-in barcode scanner. If you scan a lot of assets (tanks, vehicles, equipment), the built-in barcode scanner is easier to use because we have a pistol grip that helps aim the scanner. Android has a higher degree of ruggedness – designed to work in harsh conditions like rain or snow. iOS is a great solution for lubricants distribution where you don’t scan a lot of assets. You may only scan 3-4 tanks per delivery with lubricants where with fleet fueling (wet hosing), you may scan 100 assets per customer. iOS is great if you want to support manufacturer’s iOS apps for cross-filling or contamination tracking, and they only run on iOS. 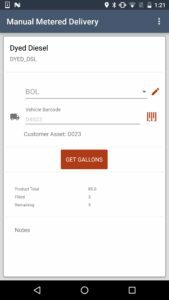 iOS is great if you have a mixed fleet and want to do lubricants distribution software with iOS and fuels distribution with Android. 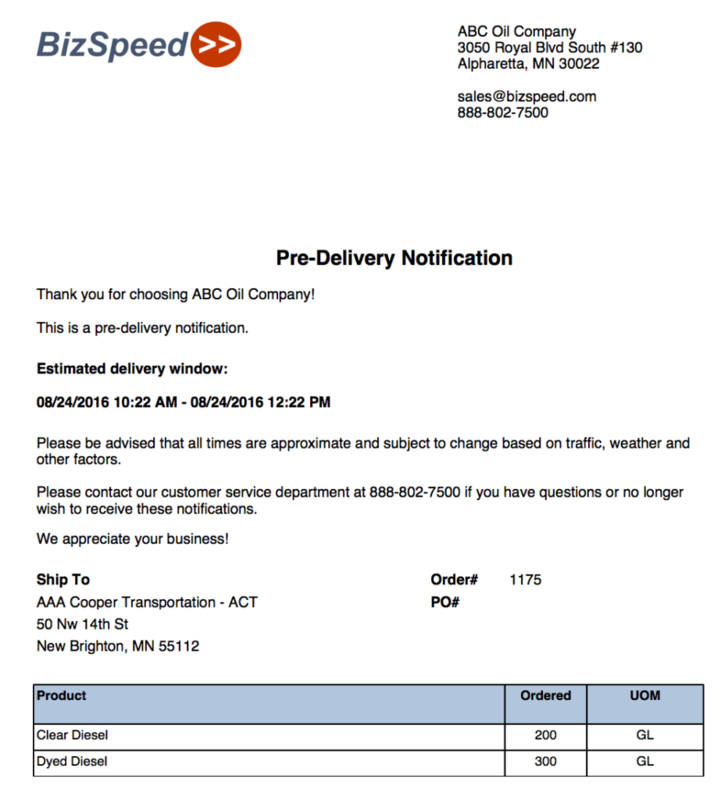 It seems simple, but a notification email that order #9987 will arrive between 8:15 am – 11:00 am tomorrow sends a powerful message about your company’s logistics. It also says you care about customer service. 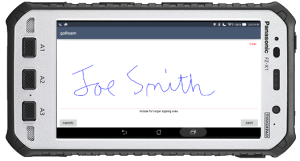 A further customer service differentiator is capturing an electronic signature on a mobile device for proof of delivery. When top logistics carriers make a delivery, customers expect a barcode scanner and signature capture. 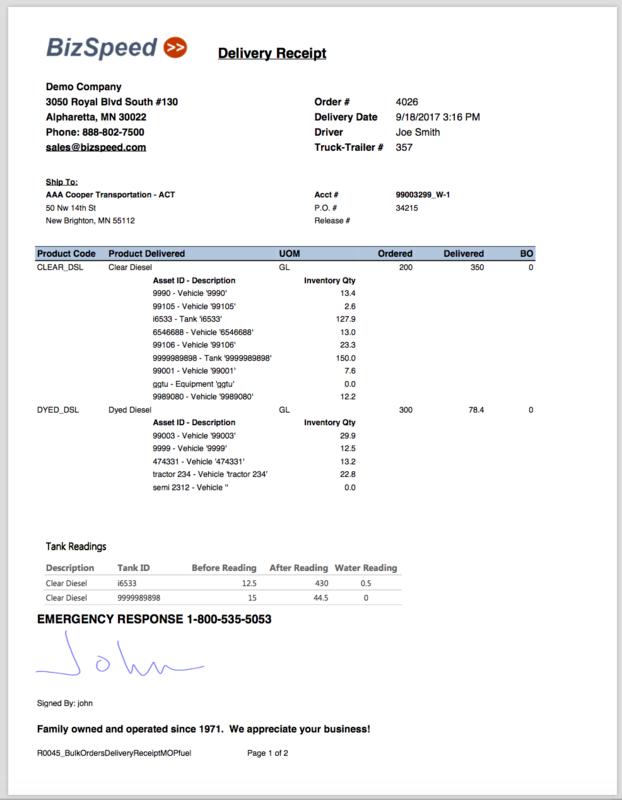 A key benefit when customers call your customer service is saying..“Tom signed @ 11:01 am, here is his signature, GPS of the delivery, the tank readings and list of filled assets”. Emailing a delivery receipt with all of the delivery details makes an immediate and lasting impression within minutes of signing for the delivery.